Get closer to the cultures of the world. 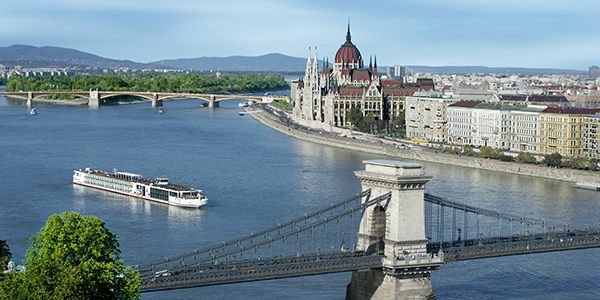 Viking® believes in offering extraordinarily well-designed cruises that bring you closer to the cultures of the world. With destination-focused itineraries across Europe, the Americas, Asia, Australia and beyond, you're invited to travel with like-minded travelers on what Viking calls The Thinking Person’s Cruise®, a culturally rich, immersive experience designed to help you explore and engage with your destination through its food, culture, countryside, and customs —with enriching shore excursions, insightful lectures, Destination Performances, cooking classes and regionally inspired cuisine. Plus, with Viking Inclusive Value, just about everything is covered, from meals and beverages to shore excursions and free Wi-Fi. Enjoy all this while sailing onboard one of our state-of-the-art vessels, whether it be a Viking Longship on Europe’s rivers or an ocean sister ship on the world’s great seas, recognized for their small ship luxury, streamlined Scandinavian design, refined onboard ambiance, and understated elegance. Our Agency Exclusive: $150 shipboard credit per stateroom on 2019/2020 Grand European Tour and South America & the Chilean Fjords. * Per person. Price subject to change and availability; please contact us for details. This 18-day journey explores the southernmost countries of South America, revealing their eclectic mix of cultural influences and stunning landscapes. 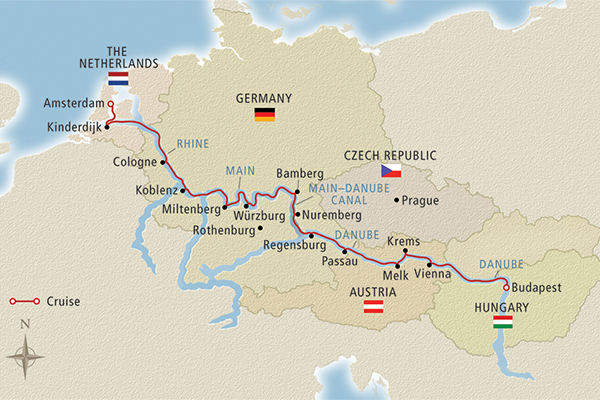 This 15-day cruise from Amsterdam to Budapest traces the Rhine, Main and Danube Rivers with engaging encounters at every bend. 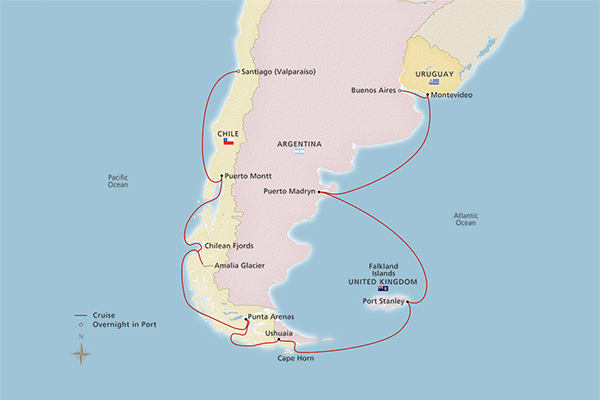 **Note: $150 shipboard credit per stateroom valid as of 2/1/19 on 2019/2020 departures of Grand European Tour and South America & the Chilean Fjords. Offer combinable with Past Passenger discounts, and EBD offer. Offer is not combinable with Group Rates, Future Cruise Credit vouchers, FAM, Travel Agent Reduce Rate, Interline, and Wholesale bookings. Limit $150 USD per stateroom. Shipboard credit must be requested by travel agent at the time of booking. Shipboard credit cannot be applied towards onboard gratuities. No cash value. Shipboard credit offer expires 4/30/19.